Single-game tickets to see the NBA Champion Golden State Warriors are set to go on sale this week. Pre-sale tickets will become available for season ticket holders and priority wait list members Wednesday morning. Warriors insiders can then purchase seats Thursday morning, followed by sales to the general public Thursday afternoon. The Dubs have won two straight NBA championships and three in four years. They will be playing their final season at Oracle Arena in Oakland before moving across the bay to the new Chase Center in San Francisco next year. The Warriors preseason begins Saturday, September 29th at home against the Minnesota Timberwolves, while the regular season debuts Tuesday, October 16th at home versus the Oklahoma City Thunder. Individual and season tickets can be found HERE. 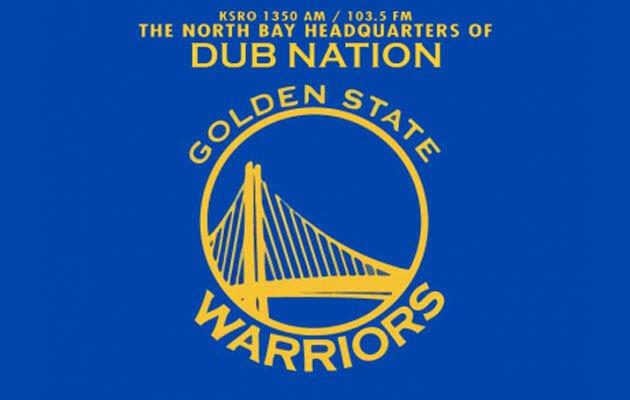 All pre-season and regular season games can be heard on the Official Home of the 2018 NBA Champion Golden State Warriors, KSRO, North County 103.5, South County 94.5 and 1350AM.